A rainy day is always a time for reflection. As I lingered from arising this morning, listening to a soft Spring rain I was taken to play with the thoughts of beginnings and endings. At how appropriate for where we all are on our journey here! Today is my last day of working for a global corporation, which fortunately did not compromise my values. Yet at times, would trigger my energies to stand as a proud warrior. To defend those who I felt were being taken advantage of and issues concerning the world and how corporations affected them. So I Am very grateful for all the learning experiences that are held in the smallest of interactions. I also am reminded that everything around us is constantly shifting and we must stand firmly grounded in what aligns with our sense of Divine Purpose. I’m not talking about your everyday experiences, I’m talking about deep within your hearts where your Soul comes through and resonates with the world. The infamous tunnel that we experience during death and I like to see as a well. It is deep within that well, that well of pure energy we are becoming comfortable with as everything shifts around us. This well of energy exists beyond the reach of any human distortion, manipulation or misuse. It is unaffected by all of what we see around us, It is the Source Energy of Our Being. Here within this column of energy the only effect we can have is external, for there is no need at all within it. We on the outside with our rational thinking minds can deny it, can look away from it and pretend it doesn’t exist and live in a world of illusion. Thereby we create a world of lack and need, of chaos and unbalance, of greed and jealousy. This is my reflection this morning, beyond which all things are possible. As I have said before we choose, we can choose again, and we can choose differently. So my choice today is to be Free, free of any employer other than My Divine Self. Many times we have all done this and we have created a history of Pass/Fail experiences because we weren’t ready. Ready to really trust that column of energy which now in our journey we must rely on. 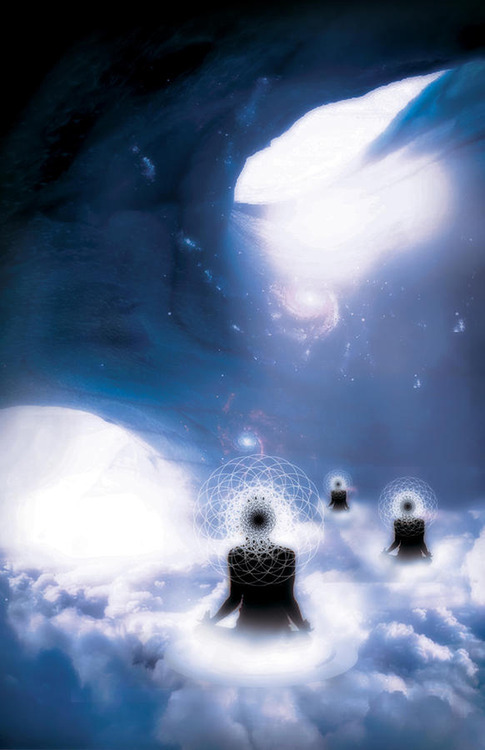 This is the New World, the Golden Age, and Ascension, words we use to label the process which will connect us to our truth, our core essence and bring it through into this dimension. Earth is really not going anywhere, we are not going anywhere, and it is both a beginning and ending occurring in the same moment. I like to think of it as Awakening to Love. The pure potential of Love, right here, right now, without any attachments to outcome. Let us open our Hearts and embrace all of the potential that is being triggered by this process of awakening to Love.